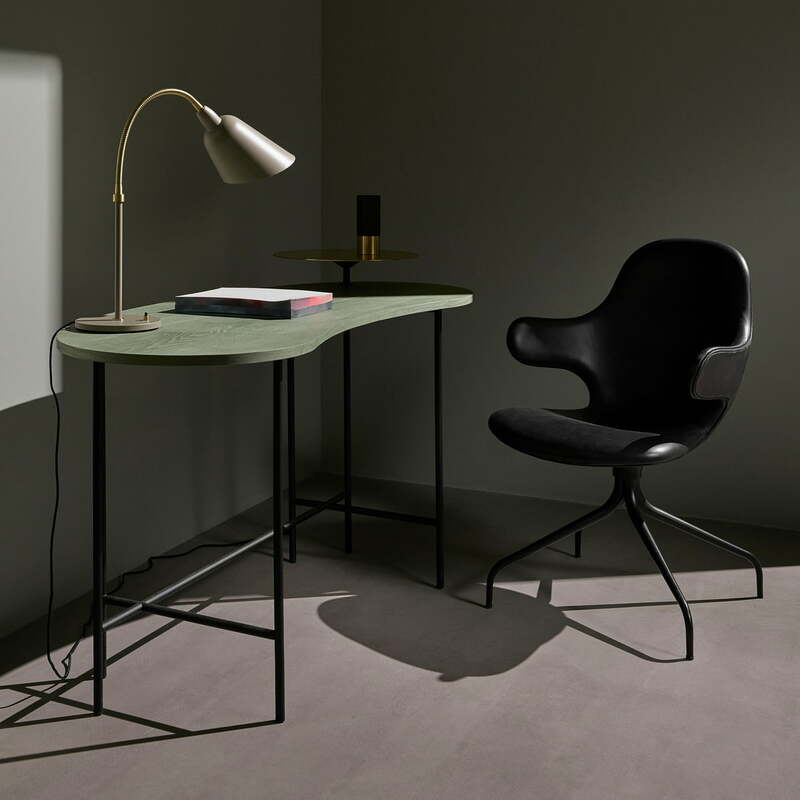 The Palette table JH9 is a design by the Spanish designer Jaime Hayon, who aimed to put static objects in motion with his design. With a playful approach, the designer created dynamic-looking objects that are reminiscent of the kinetic sculptures by Alexander Calders. The JH9 can be described as a stylish collage that sets special accents in the living room. 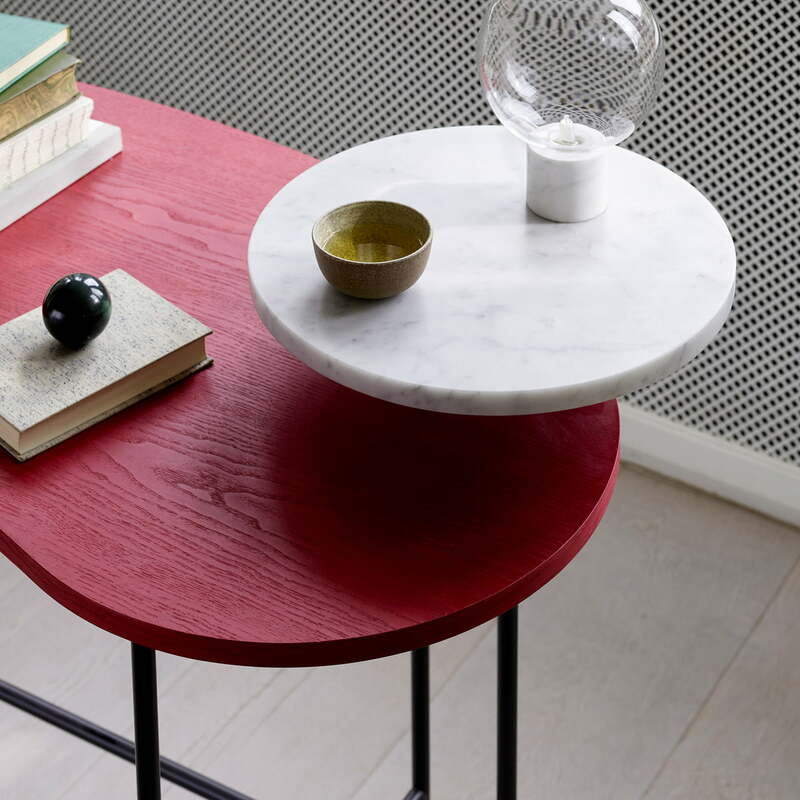 While the kidney-shaped table top is made of ash wood, the round plate consists of either marble or metal. The architecturally-looking stainless steel frame combines the two elements and gives the design its industrial and at the same time delicate character. 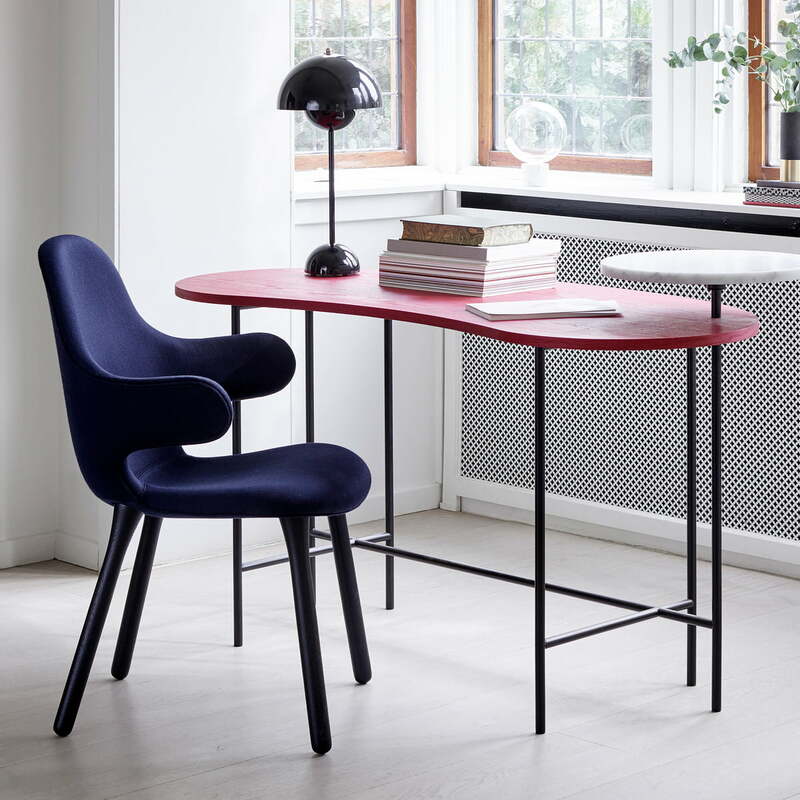 In addition to the outstanding look, JH9 by the Danish manufacturer &Tradition also meets functional requirements. 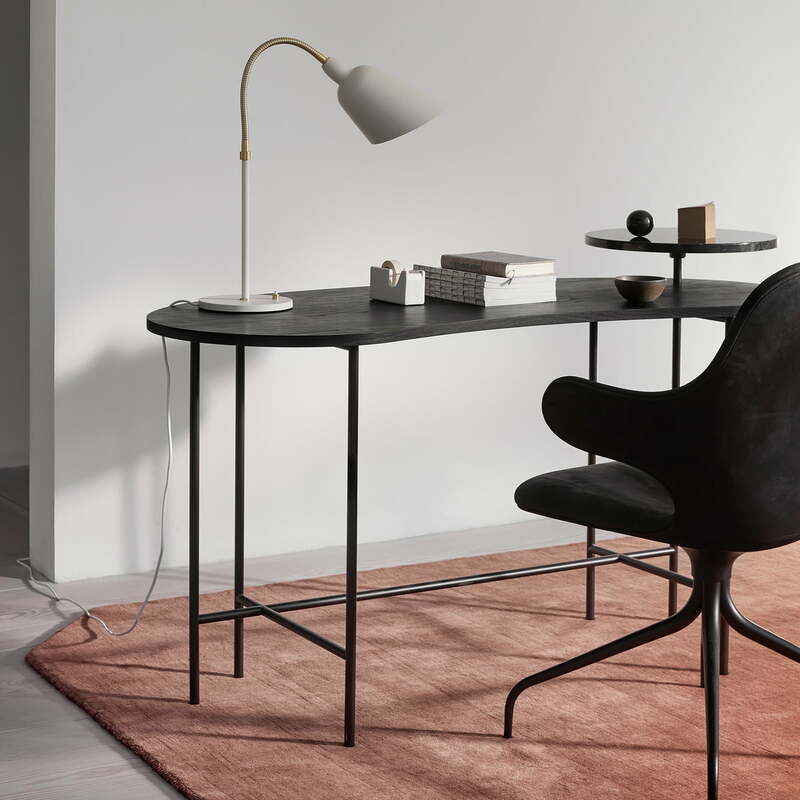 As a perfect home office table, the generous table top holds numerous documents, whereas the elevated tray is an ideal podium for the laptop or computer. This way the workplace can be organised and structured. Individual image of the Palette table JH9. 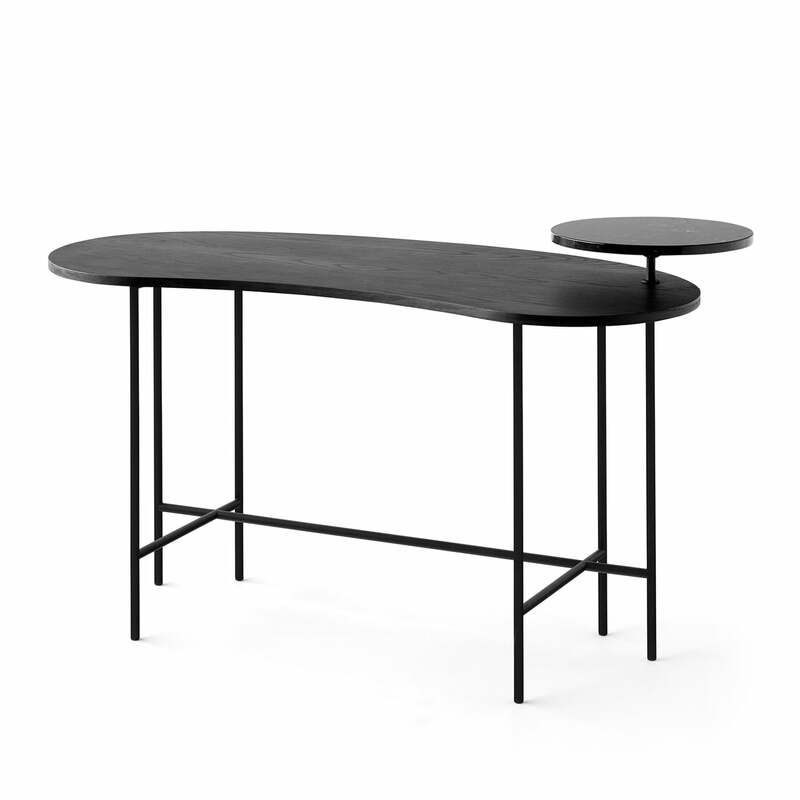 The kidney-shaped table top is complemented by a practical platform made of black marble, and ensures a harmonious mix of materials. Ambience image of the Palette table - JH9. The dark version of the table is also harmonic. The noble, black marble links perfectly with the dark tabletop.